Rhino Outdoor Adventures is a family owned and operated company by Ryan “Rhino” Haecker. We pride ourselves in creating a professional, safe, and Christian hunting environment for all who come in contact with us. It is our policy to make sure that every hunter with us be given the best opportunity to successfully harvest the animal or animals of their choice. We primarily guide on our family owned ranches in Texas located in Real, Comal and Sutton Counties which allows us to provide our guests great adventures at affordable prices. We cater to families, small hunting parties and corporate groups. Our Mission is to provide the very best professional service and create a friendly family atmosphere for our customers so that they can enjoy their adventure and benefit from a successful hunt. With Rhino Outdoor Adventures you can hunt a variety of native and exotic game species on one of several ranches we offer in Texas. 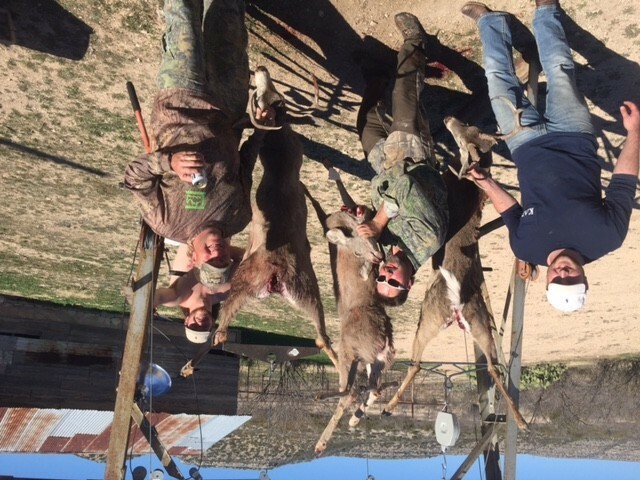 Whitetail, mule deer, Rio Grande turkey, javelina, axis, aoudad, blackbuck, elk, fallow deer, sika deer and a variety of rams along with other exotic game animals. Predators are also offered for hunting which includes bobcat, coyote, fox, mountain lion and hundreds of wild hogs! !